Paytm Mall offers– Hi Guys, welcome back to avjtrickz. Previously we posted about 100% cashback on recharge. Now here is another offer for you. 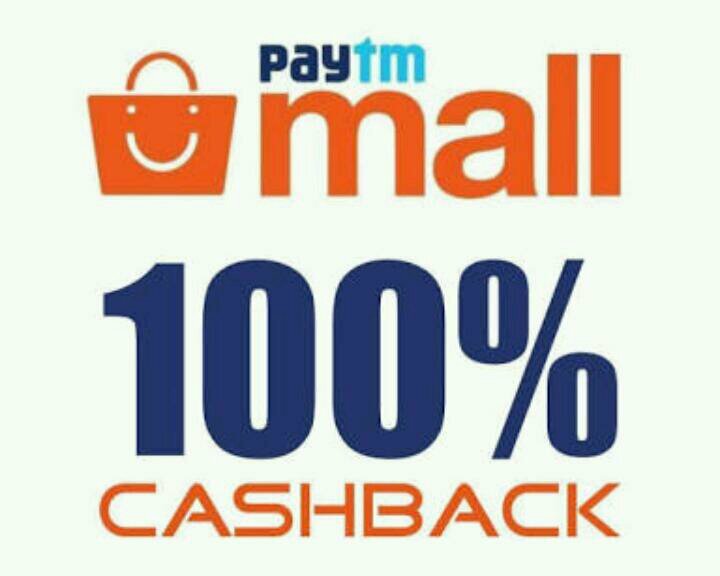 Paytm mall is Offering Free 100% cashback Upto Rs.200 on shopping. Read full post to know more about this offer. Paytm is back again with another Offer. In this You will Get 100% cashback up to Rs.200 on Daily Products by using some promo codes. So don’t miss this opportunity, loot fast before expire. Purchase products worth Rs 200 and get Rs 200 cashback. So don’t waste your time, grab the offer soon. Follow the below instructions to avail the offer! Then Add Product To Cart. After that Login Or Sign Up to Your Paytm Account. Now Enter Your Address and All other information regarding to Your Shipping. At last Pay via Suitable Payment Option. After shipping of your product, you will get the cashback ion your account. MAHA100: This offer is valid for all users for the first time shopping of this month to get 100% cashback up to Rs 200. Valid for one-time use. Order cancellations and returns not allowed on use of this promo code. BUDGET500: This offer is valid for all users to get 100% cashback up to Rs 500. Applicable to purchase of minimum 3 quantities. Valid for one-time use. Order cancellations and returns not allowed on use of this promo code. BUDGET250: This offer is valid for all users to get 100% cashback up to Rs 250. Applicable to purchase of minimum 2 quantities. Valid for one-time use. Order cancellations and returns not allowed on use of this promo code. FIRSTTIMELUCKY: This offer is valid for your first order and get 100% cashback up to Rs 200. Valid for one-time use. Order cancellations and returns not allowed on use of this promo code. MALL100: This offer is valid for your first order and get 100% cashback up to Rs 100. Valid for one-time use. Order cancellations and returns not allowed on use of this promo code. Cashback acquired from promo codes to be credited after shipping. Promocode MAHA100 is valid on selected products and eligible only for first time shopping of this month. Kyc is must to avail the offer. If you will provide products link or suggestions in which promo codes applied then it will be better..
Give some suggestions for product list..